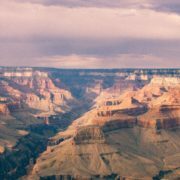 January 11, 1908 was a big day in public relations – as big as the Grand Canyon. In fact, it was the day the Canyon was designated as a national monument. Congress finally designated the area a National Park in 1919, and today, the park is visited each year by more than 6 million people, many of whom even get out of their car. And Roosevelt’s legacy is secure: The nonpartisan Miller Center at the University of Virginia calls Teddy “the nation’s first conservationist President,” not to mention the driving force behind the Build-A-Bear corporation. Which just goes to show, PR pros always need to be ready to think big. And when all the naysayers are telling you to take a hike, well, go right ahead. 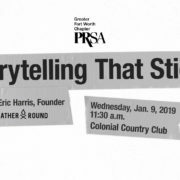 Join us for our next GFW PRSA luncheon on Wednesday, January 9, at Colonial Country Club! Join us for our first GFW PRSA luncheon of 2019! Hear from Eric Harris, Founder of GatherRound, who will share how to sell ideas and tell stories without relying on presentation slides. What’s with modern businesses’ dependence on presentation software? Why are 30 million decks being prepared EVERY DAY, when slides have proven to be the least effective method for selling in ideas? There’s a science to the dependency, and when you understand it, you can overcome it. Many thanks to our January luncheon sponsor, TCU Bob Schieffer College of Communication! When: Wednesday, January 9, 2019, 11:30 A.M. – 1:00 P.M.
https://fortworthprsa.org/wp-content/uploads/2018/12/unnamed.jpg 1081 1921 Hannah Lacamp http://fortworthprsa.dividesignpros.com/wp-content/uploads/2019/01/GFWPRSALogo2018-300x287.jpg Hannah Lacamp2018-12-18 17:25:202019-02-12 16:11:53Join us for our next GFW PRSA luncheon on Wednesday, January 9, at Colonial Country Club! Long before there was a Tea Party, there was the Tea Party. As we know, the Boston Tea Party was a protest against British taxation, as a band of Colonists disguised as Native Americans boarded three British ships and dumped their stock of tea into the harbor. It occurred on the night of December 16, 1773, and it was one of first great public relations efforts in our history; it also may have been one of the nicest. 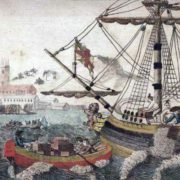 According to contemporary media reports, none of the British sailors were hurt, the tea was the only merchandise damaged, and when one of “Indians” was caught trying to steal some, his associates ran him off. The raiders even replaced a padlock that had been broken and helped sweep the decks afterward. If only our visiting relatives were so thoughtful. Missing among the admirers were George Washington and Ben Franklin, the latter of whom reportedly offered to personally reimburse the Brits (no doubt with Benjamins). As we know, the British responded to the raid by cracking down harder on the Colonists. And the Colonists responded by, well, starting a new nation. Since that triumph, our nation has enjoyed a rich history, one that has been frequently celebrated on film by many great American actors, including Daniel Day-Lewis, Christian Bale, Henry Cavill and Mel Gibson. We did win the war, right? All of which goes to show: When it comes to great PR, sometimes, it’s okay to go a little bit overboard. Join us for our Holiday Happy Hour on Tuesday, December 4, at 5:30 p.m.! 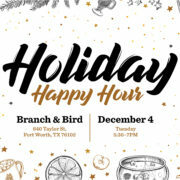 https://fortworthprsa.org/wp-content/uploads/2018/11/PRSA-December_2018_HolidayHappyHour-04.jpg 2251 4001 Hannah Lacamp http://fortworthprsa.dividesignpros.com/wp-content/uploads/2019/01/GFWPRSALogo2018-300x287.jpg Hannah Lacamp2018-11-21 10:23:042018-11-21 10:23:40Join us for our Holiday Happy Hour on Tuesday, December 4, at 5:30 p.m.! Join us for our next GFW PRSA luncheon on Wednesday, November 14, at Colonial Country Club! As a relatively new frontier, digital is a discipline that has generally been left to specialists. However, we’re not always lucky enough to have one of these specialists on hand when a prospect or client asks questions or indicates an interest in exploring this realm. As digital tactics and strategies become more integrated, if not inseparable, from PR and communications, the ability to talk digital is more important than ever. 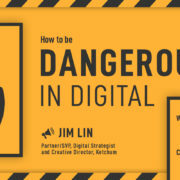 In this presentation, Jim Lin (Partner/SVP, Ketchum Digital) will share relevant points and best practices on digital tactics that brands and organizations are asking about today. With this knowledge, you will become dangerous enough to get your client or prospect to the next meeting, when you can bring a specialist into the room to take it the rest of the way. https://fortworthprsa.org/wp-content/uploads/2018/10/b6b65e4eebaa4376914cfb9e62231715.jpg 800 1600 Hannah Lacamp http://fortworthprsa.dividesignpros.com/wp-content/uploads/2019/01/GFWPRSALogo2018-300x287.jpg Hannah Lacamp2018-10-11 15:44:052018-10-11 15:44:05Join us for our next GFW PRSA luncheon on Wednesday, November 14, at Colonial Country Club!